I am so sorry that your child has cancer. I cannot imagine how hard that must be for you. I am sure you are trying to do what you think is best for your child, even if that means requesting that I do something that’s not best for mine. There are no hard feelings here but I have to be honest with you…I too, have a number of emotions surging through my body right now. Towards my children, I am feeling extra protective. Towards my rights, I am like a mean mama bear who got poked during the middle of a nap. Towards the creators of the hysteria that all of a sudden, for the first time in history, deemed one child more important and makes my child a perceived threat to everyone else’s, I am angry. Towards the parent of an immunocompromised child I am sympathetic, yet frustrated by the fact that you do not respect my choices, that you think my unvaccinated child is the only one who threatens yours, and that you would insinuate that my child should be sacrificed on the altar for your child. By now, we’ve all been indoctrinated by the measles propaganda surrounding Disneyland. We’ve been mistakenly told that the unvaccinated are to blame, that it’s only occurring in unvaccinated individuals, and that measles disappeared 15 years ago and all of a sudden made a comeback. In order to justify the removal of our parental rights, we’re told that the unvaccinated put infants and the immunocompromised at risk and we’re shown pictures of children suffering from cancer and other illnesses to drive this point home. We are not however, shown pictures of vaccine-injured children who have died, suffer from cancer, or have debilitating conditions caused by vaccines. No, that would be too objective. For the sake of this letter, I’m not going to correct the inaccurate assumption that the only reason parents don’t vaccinate is because of vaccine ingredients like thimerosal, nor will I address the highly suspect studies funded by pharmaceutical companies (or entities that have incestuous relationships with pharmaceutical companies) that deem their own vaccines safe, and I dare not sway opinion with an emotional story of my son, who was vaccinated with MMR, almost died, and was subjected to a 240% increased risk of developing autism. No, I won’t show the photo of his sick, emaciated body lying in my arms after we flew across the world to be with him. So let’s talk about measles for just a minute. It was once widespread in the U.S. I do not argue this fact. 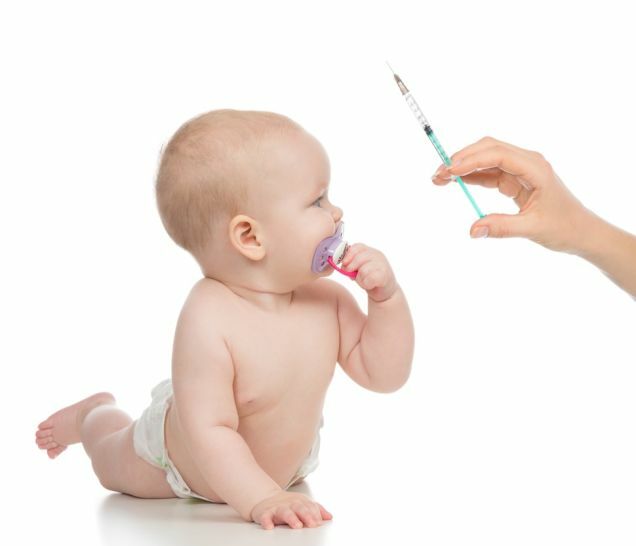 I argue that measles had significantly declined prior to the vaccine and has been and will always be a common childhood illness that when contracted at the appropriate age, yields lifetime immunity, protection against more serious diseases (like cancer) as an adult, and allows a mother to pass on the protection needed to keep her baby safe for his/her first year of life or longer. Measles is typically more severe in adults but prior to the vaccine, 90% of people had it by the time they were 15 years-old and the majority of children had it during their early school years. Now, babies and adults are the at-risk populations and lack immunity because vaccines have manipulated it. Yes, every baby and adult (vaccinated or not) can ultimately thank the vaccination program for their measles. Please forward your “thank you” cards to Merck, not me. So is the problem with the child’s vaccination status or is it the fact that a parent had a child with a fever and/or cough and toted her kid to Disney land anyway? I mean…they did pay for a trip to see Elsa and all. This is assuming that an unvaccinated child is actually responsible for the measles outbreak at Disney and not foreign tourists. Like all infectious diseases, measles is contagious (though it can only survive on surfaces or in air for 2 hours or less), which is why the vaccinated should avoid contact with immunocompromised people for six weeks, why parents should be trained to recognize the first signs of an illness, and why you should never blow your nose on someone else’s shirt or cough in someone else’s face. Measles itself is unpleasant but there are rarely complications unless you consider diarrhea and ear infections (both side effects of the vaccine) “complications.” Sure, your child could get pneumonia, brain encephalitis, or die but these side effects are extremely rare in a developed country and are also side-effects of the vaccine. We haven’t had a confirmed death from measles in over 10 years. And let’s not forget, complications occur mostly in children under the age of 5 and adults over the age of 20, two groups that are now at risk thanks to…you got it…the vaccine. Panniculitis, atypical measles, fever, syncope, headache, dizziness, irritability, vasculitis, pancreatitis, diarrhea, vomiting, parotitis, nausea, diabetes, thrombocytopenia, purpura, regional lymphadenopathy, leukocytosis, anaphylaxis, arthritis, arthralgia, myalgia, encephalitis, encephalopathy, measles inclusion body encephalitis, subacute sclerosing panencephalitis, Guillain-Barré Syndrome, acute disseminated encephalomyelitis, seizures, convulsions, polyneuritis, polyneuropathy, ocular palsies, paresthesia, aseptic meningitis, pneumonia, pneumonitis, sore throat, cough, rhinitis, Stevens-Johnson syndrome, erythema multiforme, urticaria, measles-like rash [also known as measles], pruritus, nerve deafness, otitis media, retinitis, optic neuritis (i.e. blindness), papillitis, retrobulbar neuritis, conjunctivitis, epididymitis, orchitis, and death. An individual who, vaccinated or not, has any type of illness whatsoever. Oh, you didn’t know this? If you’re a doctor, you should. It’s all right, this information is in the package inserts and the peer-reviewed data. Yet, you claim I should vaccinate my children because the MMR vaccine doesn’t work for everyone, your wife didn’t pass on the protective immunity to your baby exposure to wild measles would have given her, and you have an immunocompromised child who is at risk by both vaccinated and unvaccinated alike. Sounds like a problem with the vaccine to me and lack of knowledge parents have regarding proper disease management. Maybe we should emphasize more education and less vaccinations. First, the MMR vaccine has not been proven safe or effective so to ask me to vaccinate my child with something that hasn’t even been properly subjected to pre-licensure, double-blind, placebo-controlled studies using an inert placebo, which is the standard for evidenced based medicine is ludicrous. That’s like asking me to put on a Santa suit and jump off the roof of a house or asking me to give my child a chemotherapy drug that was tested against one of its own ingredients to determine safety. Second, vaccinations place my children into the “at-risk” categories where measles is much more severe. I’m thinking about my babies’ babies here. Some argue that if we were vaccinated we could protect all of the old people and babies from measles. I say, why pour more of what started the fire on it? I’m personally a fan of herd immunity myself. You do know it doesn’t apply to vaccines right? Third, it’s misleading to say that the MMR vaccine results in immunity to most who receive it without noting that the immunity given (if any) is temporary (i.e. lasting for a limited period of time). It’s like that really good date you never wanted to end or the pains of childbirth. That’s probably why vaccine-induced herd immunity is a major fail. Fourth, there are many children who are now immunocompromised because of vaccines. Anyone who thinks otherwise is living under a rock. Fifth, there are other ways to prevent disease that doesn’t put either of our children at risk. Even the World Health Organization recognizes that using vitamin A can reduce measles deaths by 50%. Sixth, when our kids are sick and must go to the doctor or be admitted to a hospital, there is a waiting room full of sick people and an infinite number of viruses circulating that could make our children sick. In fact, 1 in 25 people admitted to a hospital will acquire a health-care associated infection. That’s adds up to 721,800 people each year. Although measles didn’t make the list, maybe if we didn’t make it out to be the monster that it isn’t, people wouldn’t feel the need to bring their child in when they have an infectious disease with symptoms that could easily be managed at home. Seventh, if government and health officials really cared about the immunocompromised, they would advise the parents of recently vaccinated children to avoid public places (including schools, daycares, and Disney) where immunocompromised children could be present. They would also educate parents on recognizing the signs and symptoms of disease, show them how to manage non-emergency symptoms at home, would encourage other methods of disease prevention, and would emphasize quarantine – not for the perfectly healthy, unvaccinated children, but for any sick child. I’m sorry your vacation came to an end but the unvaccinated parent did not cause your child’s immunocompromised condition and there is no causal connection between an unvaccinated child and your child’s exposure. A causal connection is what’s required, right? When we take our child to a place like Disneyland, or any other public place for that matter (including a hospital), we assume the risk that we might come into contact with a sick person, someone who hasn’t washed their hands, a kid who has picked their nose, or rides that have not been properly sanitized between each use. It is not fair to require that my child get vaccinated for the benefit of yours or to force my child to live in a bubble so that yours doesn’t have to. By the way, did you know that studies show that exposing a cancer patient to wild measles could cure them? (See the Lancet – Bluming 1971, Pasquinucci 1971, Zygier1971, Taqi 1981 and here and here). CNN even covered the story of the Ugandan boywho went into remission after wild measles exposure but the video and article have since been taken down. No surprise there. We’re trying to make a vaccine for that. If I had a child with cancer, you better believe I’d be looking for a kid with measles. But that’s just me. Although I sympathize with your situation, pray healing for your child, and wish your circumstances on no one, that does not give anyone the grounds to trump my parental rights. My obligation as a parent is to my children, not yours and I will always (always) put them first. Don’t take it personally. I’m just a little tired of my children being used as the scapegoats of emotional arguments and misguided assertions. You would be too if you were told you should be jailed or sued for exercising your autonomy as a parent and your “anti-vaxxer” children should be subjected to segregation and marked like the jews. I’m scared to repeat history. Aren’t you? If you gained something from this article, please like it, share it, and follow livingwhole.org on Facebook. To read another Living Whole post on measles, click here. For the sake of full disclosure, I am not a physician. I am a highly educated parent who knows how to read between the lines. If you can’t, read my disclaimer here.